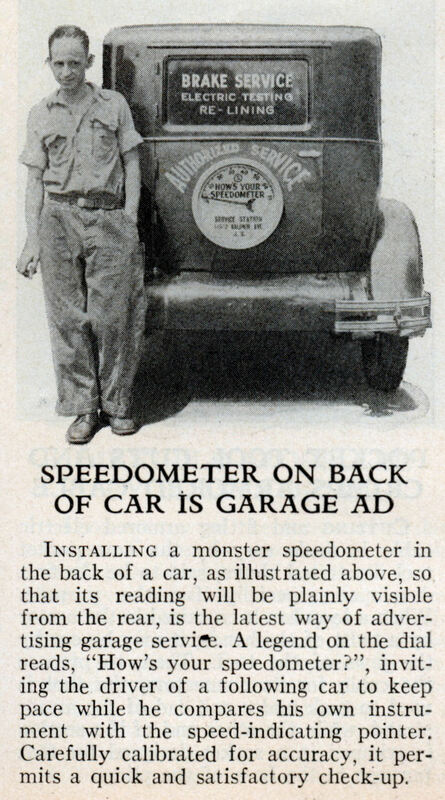 Installing a monster speedometer in the back of a car, as illustrated above, so that its reading will be plainly visible from the rear, is the latest way of advertising garage service. 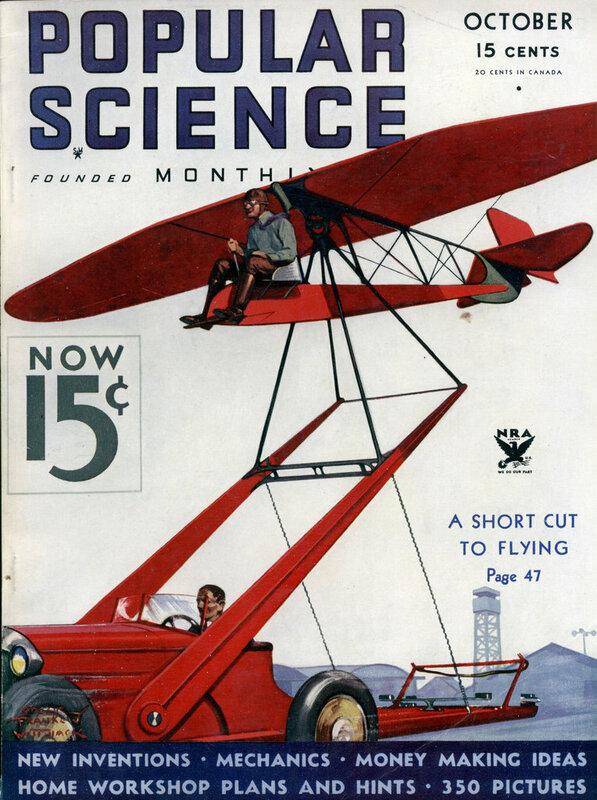 A legend on the dial reads, “How’s your speedometer?”, inviting the driver of a following car to keep pace while he compares his own instrument with the speed-indicating pointer. Carefully calibrated for accuracy, it permits a quick and satisfactory check-up. Bet cops needing to fill their quota loved this thing.